Our goal in participating in CYO is to provide as many young people as possible the opportunity to experience spiritual, physical, mental and emotional growth through participation in a variety of sports. The main purpose of student participation in athletics is to excel in the competitive arena while experiencing formation and development in every aspect of their lives. By their participation in this arena, they will be prepared for the wider arena of life’s the opportunities and challenges of daily life. Inclusiveness - CYO Athletics shall foster the development of inclusive communities with God as their center through the acceptance, uniqueness and appreciation of every athlete as a player on God's team. Spirituality - CYO Athletics shall enhance the spiritual development of CYO athletes through their participation in a pre-game prayer, a post game prayer, Team Mass Sunday and teaching our Faith through our example. Dignity - CYO Athletics shall contribute to the dignity of each athlete by accepting one another through compassion, respect, patience, kindness, humility and understanding. Service - CYO Athletics shall nurture a spirit of selfless service by providing opportunities and challenges to children as they learn about themselves and others by becoming more productive members in their parishes and communities. 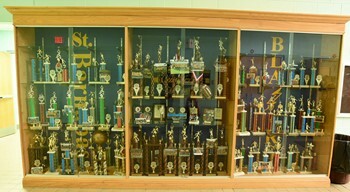 As one of the larger parishes in the Diocese of Cleveland, St. Barnabas is able to offer numerous sports. Students attending St. Barnabas School as well as students attending PSR classes at St. Barnabas Parish are eligible to participate on our CYO sports teams. Check out our individual sports pages to find what’s right for you!